These frames hold your sign secure withe included hardware. Available in several sizes and combinations, simply slide in your sign(s) and you're done. The Riders provide flexibility to change only part of your message. It's two (or three) signs in one frame. 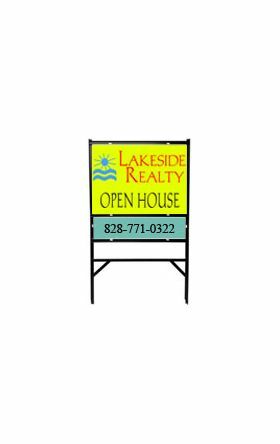 Great for phone numbers or prices that may change, event happenings (open house, etc.) The extra bracing on the legs of the stand make this frame very durable. All prices include full color graphic(s) mounted on aluminum with pre-drilled holes for easy mounting and protected with durable UV film lamination. Includes all hardware.